The short-term nature of events can make success (and failure) seem fleeting. Once the curtain goes down, you’re on to another project and rarely glance back following review of the last evaluation form and closure of the final budget report. When it comes to sustainability we often yearn to learn what the long-term benefits of our requests are. Did they make an impact? Or result in lasting change? Event sponsors, suppliers and participants who reach out after-the-fact to share how an event sustainability program has impacted them are very rare. Which makes the following email I recently received so very precious. It was sent to me by Janiece Sneegas, Director, General Assembly and Conference Services, 14 months following the Unitarian Universalist Association General Assembly in Louisville Kentucky. I work in Louisville, KY, trying to increase the percentage of Kentucky-grown food served in homes, schools, business and other places people congregate. I mostly work with institutional users, including Centerplate, which provides dining services for the Kentucky International Convention Center. 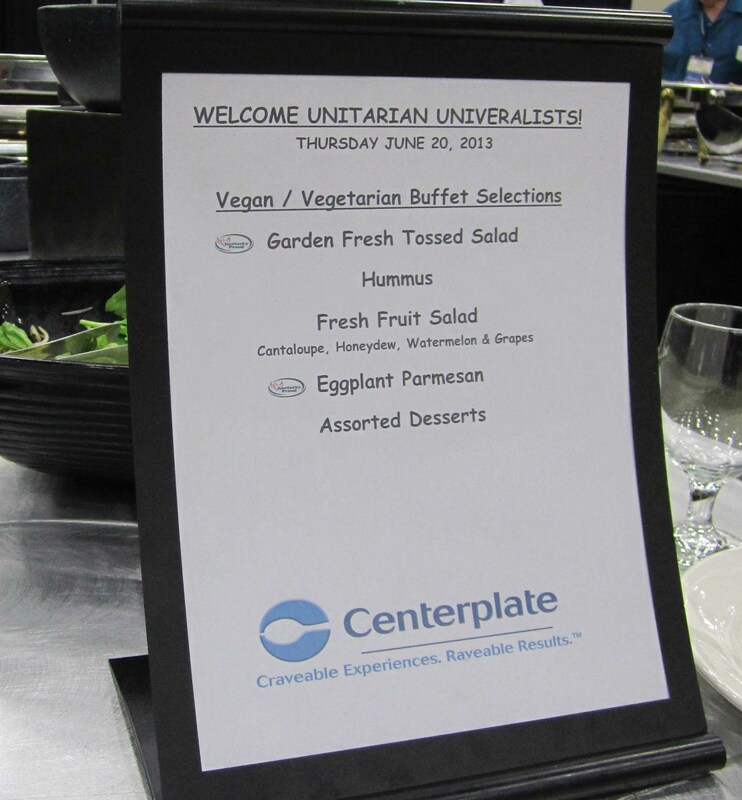 Folks at Centerplate became very interested in local food this past year, and when I began meeting with them, they kept invoking the memory of the Unitarians who met at the convention center and insisted on having local food at their meals. That effort increased the company’s interest in sourcing local and having menus to offer clients. The Future Farmers of America will have their national meeting here in October and Centerplate is feeding them local food, some of it purchased from Sysco, which has committed to buying 18,000 pounds of processed, frozen Kentucky vegetables. So you can see, the ripple effect was profound. I have been asked to speak about the work I do at the American Farmland Trust national meeting, also in October, and I was hoping I could start my presentation with the story about the Unitarians. Your group has created change in Louisville, and I think if I can use you as an example, it will personalize my message of demand=change and empower people to work in their own worlds. Legacy is a key value proposition for event sustainability. It can be measured in terms of volunteers and employees engaged, economic impact, funds raised, participant behaviours changed, infrastructure created, and in the case of UUA: suppliers transformed. How do you measure your event sustainability legacy?